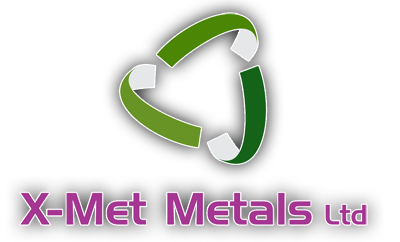 X-Met Metals Ltd provide domestic and commercial clearances throughout Wigan and all over the North West of England. Skips and tipping fees can be costly so why not give us a try and save some time and worry knowing you’re in safe hands with our team. We cover all kinds of removals and transportation services. Below is a breakdown of the types of services we offer. We can provide clearances to any site big or small and dispose of all waste to correct environmental standards. If you have any metal on site we can also remove this and pay you for these items. All our team are trained to a high standard of health and safety and some are NEBOSH qualified and have other construction and site qualifications and have experience in site clearances. There is no job to big or small that we will not look to take on. If you have old items in your property, which are metal i.e., washing machines, cookers, bikes, fridge-freezers, bed frames old BBQs etc. we can remove these for a small cost depending on location, as we would have to account for distance and costs. Every visit you can fill a van up with as much material as you like. If you have non metal items such as cabinets sofas, TVs, etc. we can remove these but there will be a small tipping fee but it will still be more cost effective than hiring a skip. If you need a one off item or many transporting from A to B why not give us a call. There is no limit too where we will deliver to, Instead of hiring a van or struggling to fit items in your car give us a call and we will endeavor to help. If you have an item that needs collecting from a shop i.e. IKEA or B&Q etc we can also provide this service for you. Need a van and a helper for the day? We will look to accommodate you the best we can and help you complete any tasks that you need to undertake. We can provide up to 4 people and as many vans as required to complete the task in hand. Don’t struggle on your own give the X-Met team a call today.